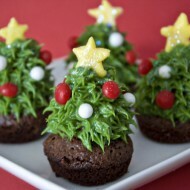 Christmas trees! Stupidly big, colorful, sparkly, and over the top. That’s just how I like em. I’ve seen this idea of using frosting to decorate ice cream cones to make Christmas tree cupcake toppers, and I finally dove in to make some of my own. It’s completely impractical to eat an ice cream cone covered in frosting, but they’re soooo pretty. 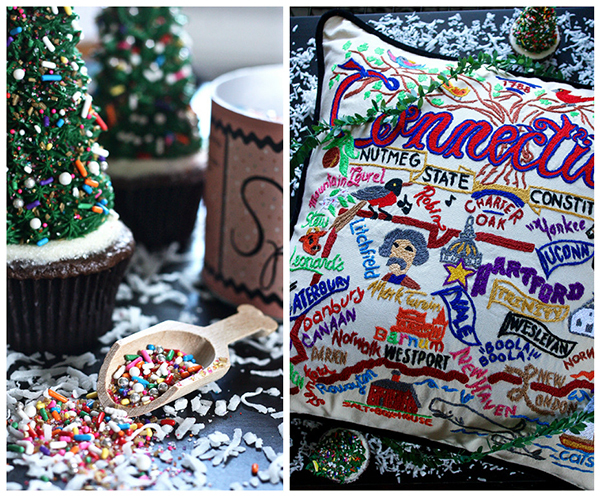 I was also wanted to bake something to commemorate our move to the middle of nowhere CT! Ryan and I are closing on our first house next week in a woodsy, quiet town close to my new office. We’ll have almost 2 acres of land, mostly woods with plenty of winter wonderland-esque trees that hopefully won’t be snow covered for at least a few weeks. Because I’m buying a practice in Connecticut, we’re pretty intimately tied to this area of the state for quite a long time. It’s a big step and I’m still trying to convince Ryan of all the merits of this tiny state, so when UncommonGoods approached me with the chance to choose a few things from their collection of unique Christmas gifts for husbands and boyfriends, I quickly grabbed this hand embroidered CT state pillow. Kind of a tongue-and-cheek gift for my reluctant husband, but he’s pretty ecstatic about the move and thus our fancy new pillow. Of course I couldn’t resist getting these ridiculously fun sprinkles in a giant can with the cutest wooden sprinkle scoop ever! They made for the perfect tree decorations with all the colors and shapes and sizes. Now when will Pottery Barn approach me with an offer for some free furniture!? 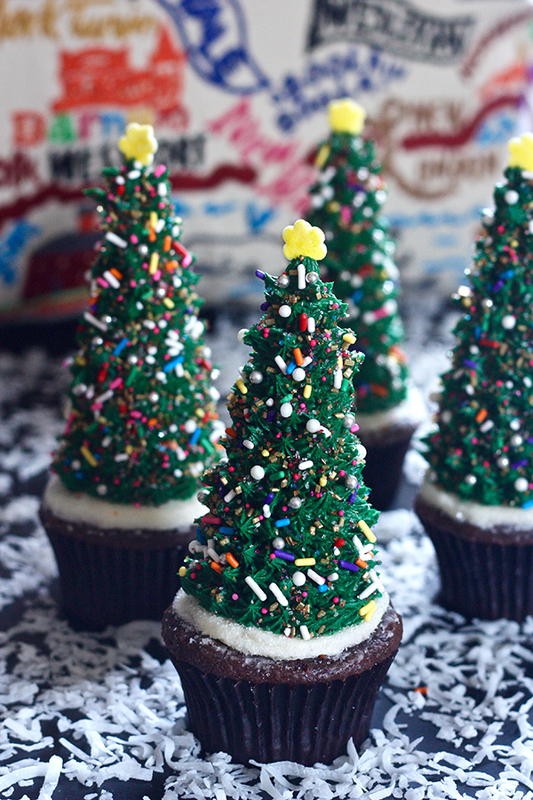 Making a full batch of Christmas tree cupcakes would be pretty intense, and require a lotttt of frosting, so if you’re interested in making these this holiday season, I might suggest a handful of trees mixed in with some snowy plain ones or even strawberry santa hat toppers. It takes quite a bit of hand muscle to pipe all the “pines”, and four was plenty for me! I spiked my chocolate cupcakes with a bit of peppermint extract and dipped the white icing in white sanding sugar for some festive flair. I’m pretty proud of how these colorful, sparkly Christmas trees came out and I can’t wait to have a bunch of real, slightly less colorful and sparkly ones of my own in my back yard real soon!! There is not a formal recipe for these cupcakes. 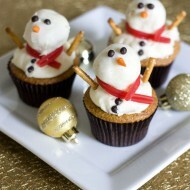 Use whatever cupcake flavor you want, top it with a layer of white frosting and invert a sugar cone on top. I actually cut my sugar cones down an inch or so (not an easy task, be gentle - they break easily!) so my trees weren't super, duper tall. Mix up a batch of green buttercream and use a small star decorating tip to make rings of "leaves" on the trees, starting from the bottom until you reach the top. I used a large yellow sprinkle as the star and covered the tree with colorful sprinkles. Use whatever kind of decoration you want! Thanks to UncommonGoods for the chance to pick out a few things from their collection for Ryan and myself! I love that the company is environmentally conscious and has a huge selection of hand crafted goods that are different than your usual Target loot. I am happy to offer a $25 UncommonGoods gift certificate to a lucky reader. Just leave a comment (with your email address in the form – it will stay private!) on this post and I will choose a winner at random at the end of the week! Thanks to everyone who commented and participated, and congrats to lucky winner #14 Zainab – enjoy your uncommon goods! 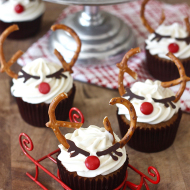 These cupcakes are amazing, going to attempt them for my Christmas party next weekend. The trees are so beautiful!!! congrats on buying a practice!! These are beyond adorable. I love the sprinkles!! Congrats on the practice and the house! Congrats on the new house and practice! I’ve been following your blog for some time now and it’s great to see you taking a next step! 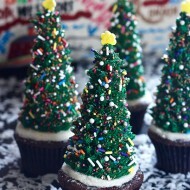 Cupcakes look delicious and the ice cream cone trees look amazing with those sprinkles! 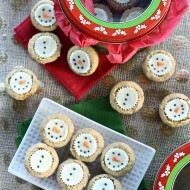 Can’t wait to try it for an upcoming holiday party! Congrats on the new practice! I have been following your blog since the molar cupcakes post, while I was also in Dental School. Fun to follow! Congratulations to you and Ryan on this next chapter of your life! I can’t wait to see the future posts. SO EXCITED! I am currently a second year dental school student. Been following you since undergrad. You’ve been an inspiration to me since the first time I read your blog! Thank you! 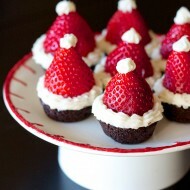 Such a cute Christmas treat idea! Congrats on the house and I am sure Piper will enjoy the woods!! 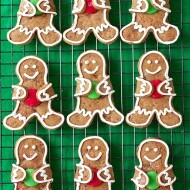 I’m gonna make these with my sister! they look cool! 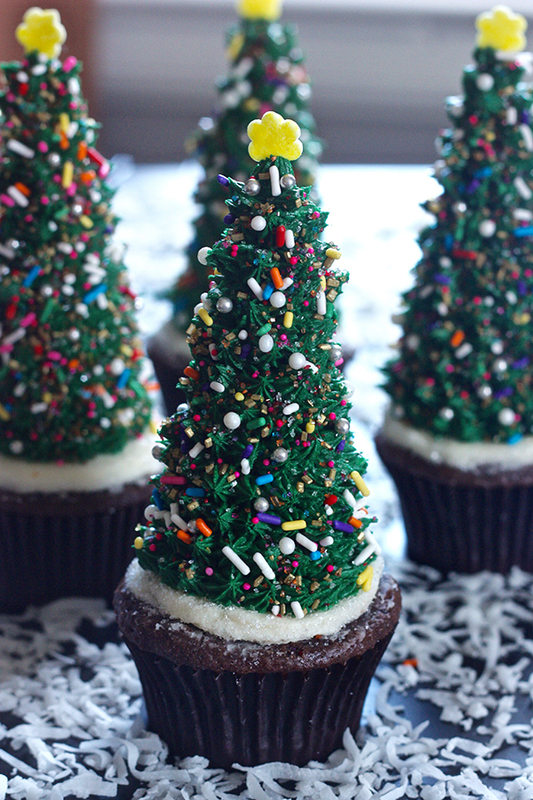 This will be the perfect thing to do with my niece as she loves sprinkles and Christmas. Oh how fun.